Can smaller companies continue to outperform? The ASX Small Ords has out-performed the All Ords by 10% over the past 2 years. Will this continue longer term? We think so based upon the 5 underlying drivers of this recent out-performance which we believe will remain in place looking forward. 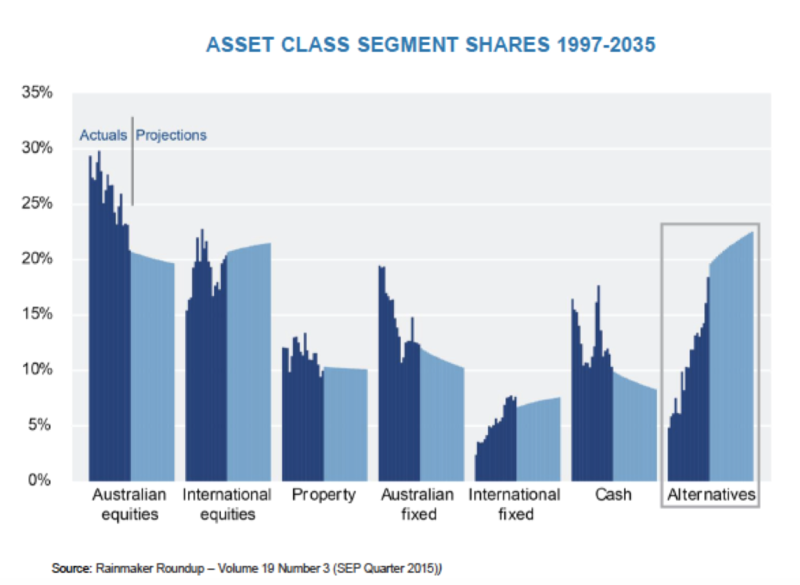 The increasing scarcity of under-valued assets across global financial markets means investors will need to become more creative if they are to achieve their desired investment returns in the coming years. As a result, smaller companies as an asset class is likely to become a more efficient market looking forward, which bodes well for performance. As always we advocate focusing upon finding under-valued high quality stocks with a long term perspective whilst ignoring the big picture noise. DRIVERS OF RECENT SMALL CAP OUT-PERFORMANCE: LONGER TERM TRENDS? 1. VALUATION – In our experience it is possible to find high quality stocks in the ASX smaller companies’ universe which are trading at significant discounts to their large cap comparators reflecting the inherent inefficiencies in the smaller companies’ market. For example, Elanor Investor’s Group (ASX: ENN) is in our opinion a high quality property fund manager with excellent growth prospects, and is trading at only 11x FY17 earnings and offers a 7.5%+ dividend yield. This represents a significant discount versus any comparators we can find in the larger cap universe. OUTLOOK: We view this as a LONG TERM trend. Global financial markets face a conundrum at present: bond markets appear over-priced, many large cap equities appear over-priced, and yet global cash levels are at multi-year highs. This cash will ultimately need to find a home and investors will need to become more creative to generate acceptable investment returns in the coming years. We believe smaller company investing will progressively become more mainstream in this context. 2. INDEX COMPOSITION – There are significant composition differences between the All Ords and the Small Ords which has contributed to the recent performance disparity. Key differences to highlight: Financials = 34% of the All Ords vs 8% of Small Ords, IT = 2% of All Ords vs 8% of Small Ords, and Consumer Discretionary = 7% of All Ords vs 21% of Small Ords. There is also a slightly higher Resource sector exposure in the Small Ords at 20% vs 16% of the All Ords – however, we would highlight this difference is lower than many may assume. OUTLOOK: These compositional differences are LONG TERM in nature. However, we focus upon bottom up stock selection so we would refrain from making any comments regarding the outlook for the various sectors. 3. LACK OF INTERESTING OPPORTUNITIES IN THE LARGE CAP UNIVERSE – This is obviously a subjective view but we have heard this feedback from many investors in recent months. The ASX larger companies’ universe is arguably dominated by relatively low growth stocks in the financial, telecommunications and resources sectors and many big companies are currently exposed to disruptive competitive headwinds, often from smaller companies. This is hardly surprising. Large incumbents like Telstra and the major 4 banks have dominated their respective markets largely unchallenged for many years. An honest look at their competitive moats suggests that competitive threats were always going to emerge at some point. OUTLOOK: We view this as a LONG TERM trend. These competitive shifts have been building and are gathering pace. We would rather invest in the smaller companies which are challenging their large cap competitors. 4. GROWING DEMAND FOR ALTERNATIVE INVESTMENT CLASSES – A number of investors have said to us that they aren’t sure where to look for high performing investment returns in the mainstream asset classes of large cap equities and bonds right now. This “where else can I look?” mentality has led to growing demand for alternative investments. OUTLOOK: We view this as a LONG TERM trend as confirmed by the chart below. NB. We tend to look at smaller company funds as alternative to the mainstream despite the fact they are exposed to Australian equities. 5. GREATER POTENTIAL FOR OUT-PERFORMANCE GIVEN MARKET INEFFICIENCIES – As the chart below shows, 97% of Australian small cap funds have out-performed the Small Ords over the past 5 years whilst only 36% of Australian large cap funds have out-performed the ASX 200 in the same period. The reason is clear: the smaller companies’ market is far more inefficient reflecting the lower number of analysts and investors looking at each stock. As a result, it is significantly easier to outperform when investing in smaller companies. OUTLOOK: We view this as a LONG TERM trend as the smaller companies’ universe will always be less efficient in our opinion. We certainly hope so. CONCLUSION: Smaller companies remain an under-invested alternative asset class with behavioral tailwinds behind them. We view the key drivers behind recent smaller companies out-performance as being longer term in nature as high global cash levels looks for a home in increasingly scarce under-valued assets.